Flowers to warm your Mum’s birthday. The burst of garden’s best reminds you of home. And memories. She was the one who kept your PJs toasty on the Rad when you were training. In the rain. 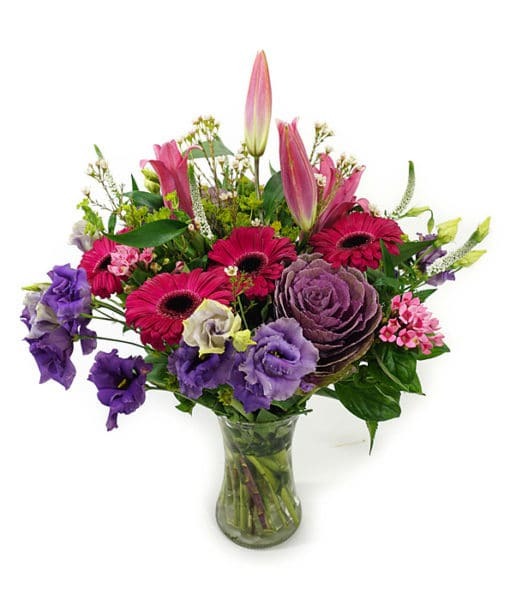 Bouquet consisting of Gerberas Lisianthus, Bouvardia Brassica and Lilies. 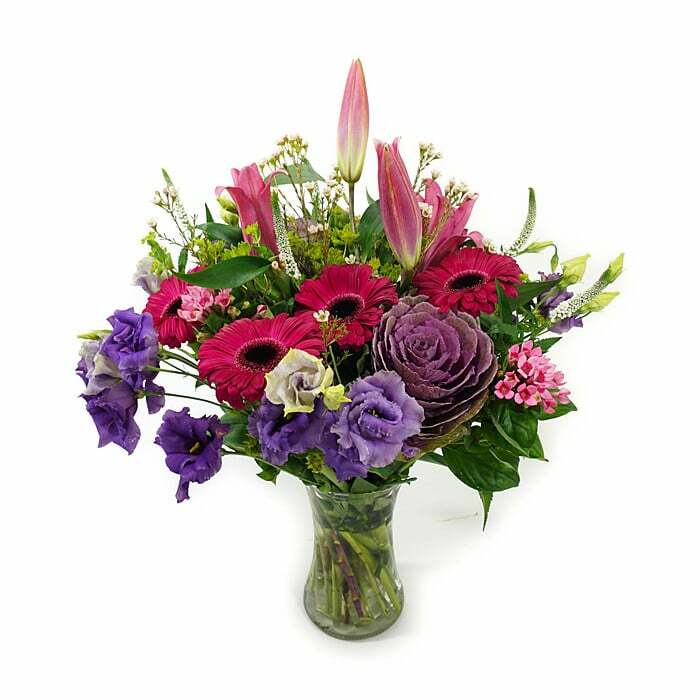 Flowers to warm your Mum’s birthday. The burst of garden’s best reminds you of home. And memories. The one who kept your dinner warm when you were training. In the rain.